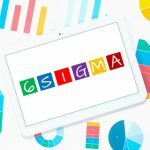 Not everyone understands what Six Sigma really is. Essentially it is a project that is data driven and designed to improve any processes within your supply chain management by simply identifying and removing areas that result in errors, defects, or otherwise cause variability. Most of the time you will have such a project led by a trained professional who is certified in these techniques. 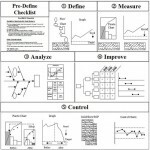 The term is actually derived from the statistical principle which states that if you begin with a mean value of your process and eliminate defects within six standard deviations, you end up eliminating all of the errors or defects that might exist. For those who aren’t fans of statistics, just think of it as a way of looking at a bell curve and getting rid of any errors within that curve. For this you want to define the expectations within your supply chain management. 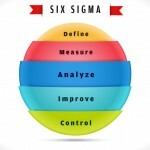 We need to also define what processes within your business are impacted. It is important that you define any of your project boundaries. At this point you will need to create a process map where you define your metrics. The metrics for such a project include what is referred to as “big Y” and “little Y.” These two terms refer to your operational objectives which need to be improved upon in order to hit your target. Once this is done, you have to form your project team and develop your project charter. Understand that with any project the executive leadership roles should include some form of top management and someone who is a senior manager, responsible for making sure that all resources are used properly and all standards are met. The second step is to measure. Actions can only be taken when you have actionable data. You have to measure very specific data points if you are going to successfully identify barriers within your supply chain management and eliminate them. Obviously the data to be measured will vary based upon your company needs, and what projects or systems or workflows that are currently trying to be evaluated and improved upon. In situations like these, having certified professionals temporarily join your staff can ensure everything stays on track and the correct data is not only gathered but subsequently analyzed in the most effective fashion. Once you have measured information you have to analyze all of that data. The process of analyzing your data will help you to identify any gaps that exist between your current supply chain management performance and your desired performance. By looking at all of this information you can identify the sources of any variation. From that you are better equipped to decide upon which processes need to be improved. This leads directly to the next step. After you analyze your data and you know where you need to make your changes, it is time to make actionable decisions. The improvement process is where you start by proposing solutions to any areas where you have issues. Naturally you can’t just suggest some form of improvement process and then assume it will work. You have to carry out a pilot study. You have to complete a test or somehow evaluate all of the solutions which have been proposed within your company. By doing so you will be better equipped to develop an implementation plan which will lead to success within your supply chain management. Once you have done this you can implement the processes that give you sustainable improvements. After completing your tests and determining which improvements are best suited to your company, you can develop the procedures necessary to complete your improvements, control any plans, and start to train your staff better. 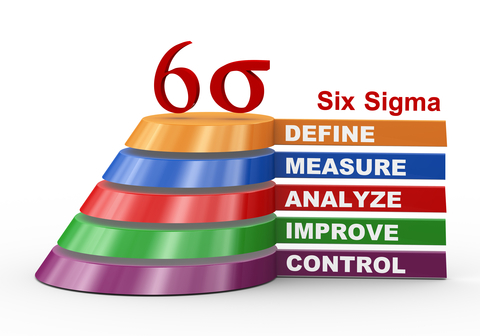 Overall, if you want to improve your supply chain management, you can utilize the professional skills of a certified Six Sigma Black Belt. 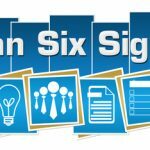 Such a professional can be relied upon to help your company follow these five steps and better optimize all of your business processes. By using a certified professional to help you achieve this, your company projects will be disciplined, data driven, and designed to seek out and eliminate any errors or variability within your supply chain management, the end results from which will be better workflow and a better optimized company.